It’s exciting times here at Tapsalteerie Touers, as after an exceptional response to our recent plea for help I can now announce fully three new members of the Tapsalteerie team. I was blown away by the instant and many offers of help I received – how wonderful that so many people were so enthusiastic about getting involved. Rebecca was first to answer the call, and it’s a real delight to welcome her on board the Tapsalteerie express. Her response to our advert featured Baudelaire, Rimbaud, and a mention of the poetic abyss. That’s an instant seal of approval from Tapsalteerie. 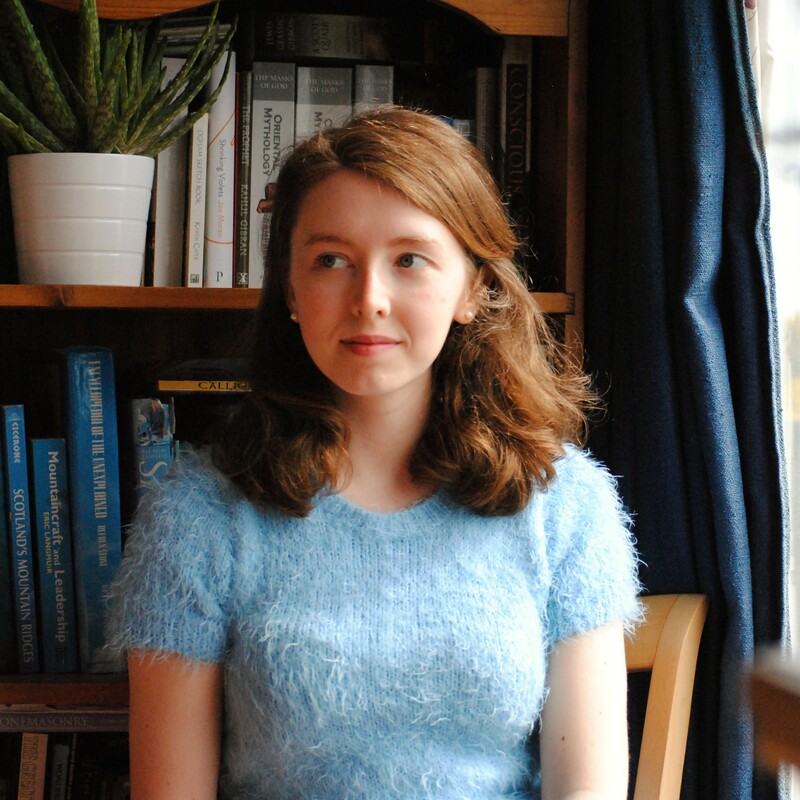 Rebecca has a background in Languages and Literature at Edinburgh university, a day job in content marketing somewhere in that very city, and is an occasional dabbler in poetry herself, winning the 2015 University of Edinburgh Lewis Edwards Memorial Writing Prize for poetry. As a Tapsalteerie publisher she’ll provide desperately needed assistance in all things, from the website to Facebook to submissions to manning the Tapsalteerie stall. What joy! Eddie’s a local, living just a few miles down the road from Tapsalteerie’s stronghold here in Tarland, even though he’s still a Scouser at heart. He is also a poet; a fine one at that. His first collection Stations of the Heart was published in 1999 and in 2008 he was a prize winner in the inaugural Edwin Morgan International Poetry Competition. 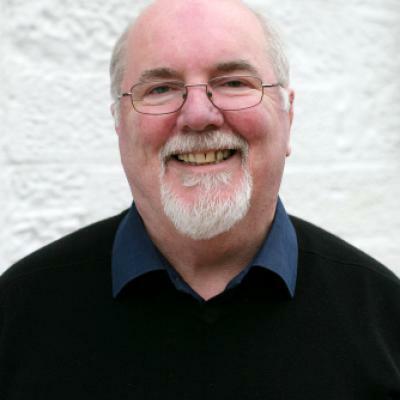 His fifth collection, What They Say About You, was published in 2010 by Leamington Books and was shortlisted in the poetry section for the 2011 Scottish Book of the Year award. A Twist of Lime Street, his collected poems, was published in 2014 by Red Squirrel Press. Eddie’s official title is poetry editor, which means he’ll work directly with English language poets on their poetry in preparation for publication. But it also means he’ll get involved in the nuts and bolts of publications, the administration, event organisation and more. Boy are we happy to have this sort of help. to the melting apartment block. sewn into her brother’s smock. Time drips from the village clock. to Cadaques and the port of Bilbao. through measureless meadows of cows. Her lemonade has developed amnesia. Her maraccas engage in a row. Her Mercedes Benz is ablaze at both ends. She is wearing a watch that says NOW! her mouth is a door left ajar. where Cervantes tilts at the stars. Her nose is the shape of the town of Cadiz. Her cheeks form the base of a vase. Her hair is coiffured in a whirlwind of birds. Her eyes are Flamenco guitars. in the infinite sadness of space. through a veil of vermilion lace. Christie Williamson is a Yell man living in Glasgow, another distinguished poet who we are exceptionally chuffed to now call our own. 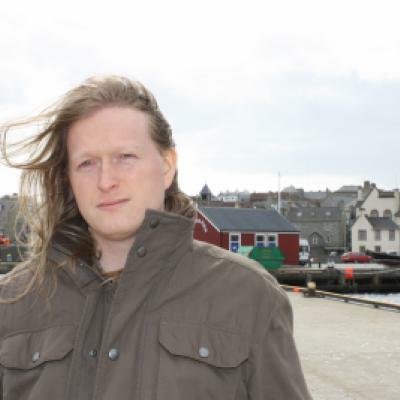 His poetry has been widely published in magazines, commended in the William Soutar Open Writing competition and the Wigtown Poetry competition, and his pamphlet by Hansel Cooperative Press called ‘Arc o Möns’ won the 2010 Callum Macdonald Memorial Prize. A full collection, Oo an Feddirs, was published in 2015 by Luath Press. He actually appeared in a previous Tapsalteerie pamphlet too, providing a superb translation of Baudelaire for our Scottish Spleen project. Christie writes in Shetlandic and English; Arc o Mons being translations of Lorca into Shetlandic. That ticks all sorts of boxes with us here at Tapsalteerie. As poetry editor, Christie will have a role similar to Eddie but also encompassing the Scots language. Du maun ay be fu. Hit’s aa at ivvir mettird. Sood du no bear dat waett o Time apö dy shoodirs at brukks dem an benkles de tae da grund, be du fu – an fu ay. But whit wi? Wi wine, wi poyims, wi virtue. Wi whitivvir takks de. But be du ay fu. An if, sometime, apö da steps o some palace, apö da green girse o a ditch, aa dysel in dy room i da moarneen, sood du wakken, wi dy funess aareddy gjaain, or disappeared, demand o da wind, da swall, da staur, da bird, da clock; aks aathin at flees, aathin at groans, aathin at rowls, aathin at sings, aathin at spaeks – aks du dem da time o day. Exciting ! What a fine clutch/ metaphor/ bevvy of poets . Was delighted to catch Eddie performing at SPL recently , Christie’s voice is a delight .. I look forward to reading Rebecca’s work . This trio is perfectly poised to tummel wulkies at Tapsalteerie.